We are only a few weeks away from the largest gathering of licensed craft spirits producers in the country. 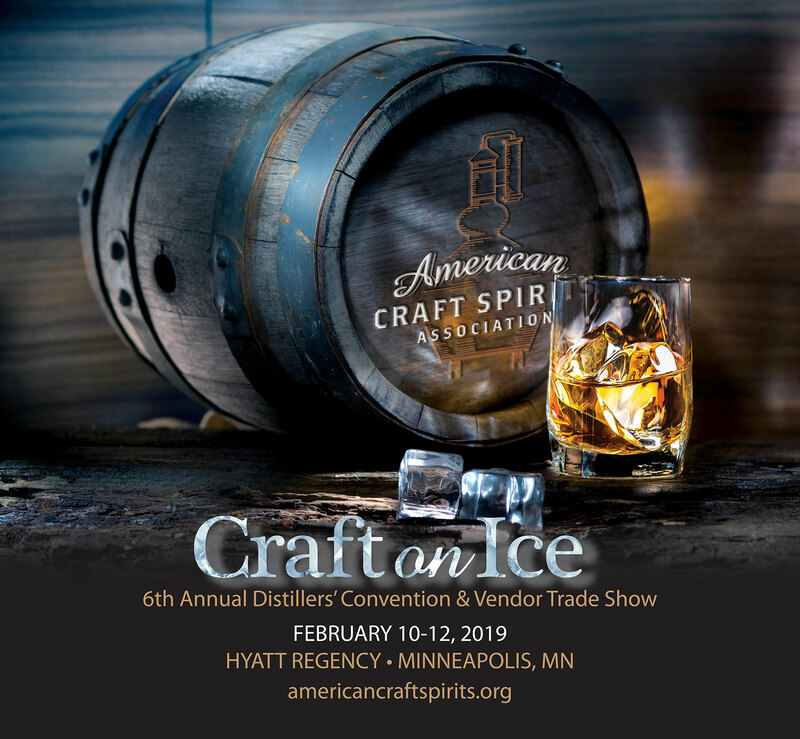 The American Craft Spirits Association (ACSA) is putting on their sixth annual Distiller’s Convention & Vendor Trade Show, Craft on Ice. This is the first year the trade show will take place in Minneapolis, MN, and will be held at the Hyatt Regency downtown on February 10th-12th. The convention focuses on education to help attendees and members grow, develop, and maintain their craft distilleries, provides the ability to network with numerous other craft distillers, and explore products and services within the industry. The trade show will include exhibitors from across North America and presentations from industry experts, including a presentation from Ilya Soroka of BSG Distilling, Dr. Patricia Aron of Rahr Malting Co., and Seth Reid of 11 Wells Spirits Co. on Sensory Analysis and Tasting of Malt Whiskey Mash Distillations. Craft on Ice also involves a tour of Minnesota’s distilleries and distilling suppliers. The tour begins at 8:15am at the Hyatt Regency in Minneapolis, where it departs to visit The Dampfwerk Distillery Co., Brewers Supply Group and Rahr Malting Co., J. Carver Distillery, Tattersall Distilling, The 11thWells Spirits Company LLC, and Du Nord Craft Spirits. Registration to attend the event is still available online. BSG Distilling will have our own booth at the event, Booth #301-303. We’ll see you there!